Fallout 4 is an open world action role-playing video game developed by Bethesda Game Studios and published by Bethesda Softworks. 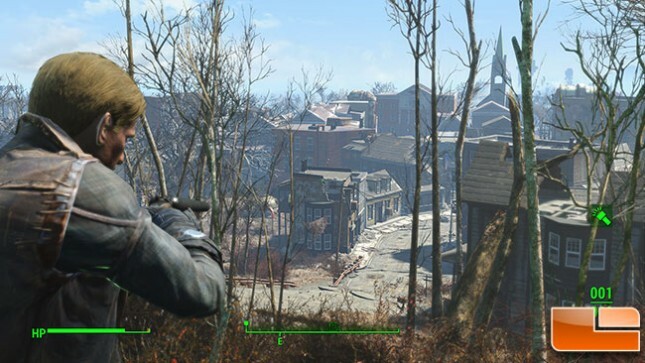 Fallout 4 is set in a post-apocalyptic Boston in the year 2287, 210 years after a devastating nuclear war, in which the player character emerges from an underground bunker known as a Vault. Gameplay is similar to Fallout 3. The title is the fifth major installment in the Fallout series and was released worldwide on November 10th, 2015. 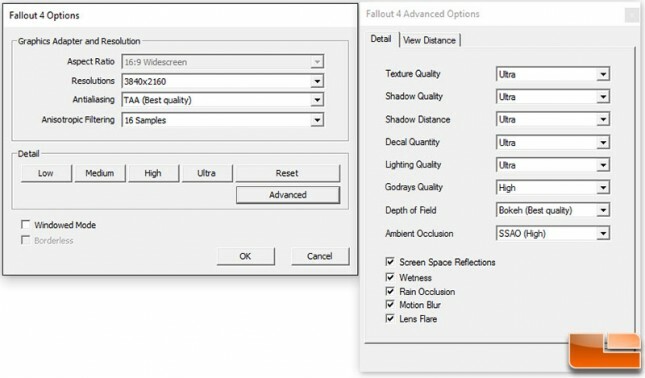 Fallout 4 was benchmarked with ultra image quality settings with TAA and 16x AF. 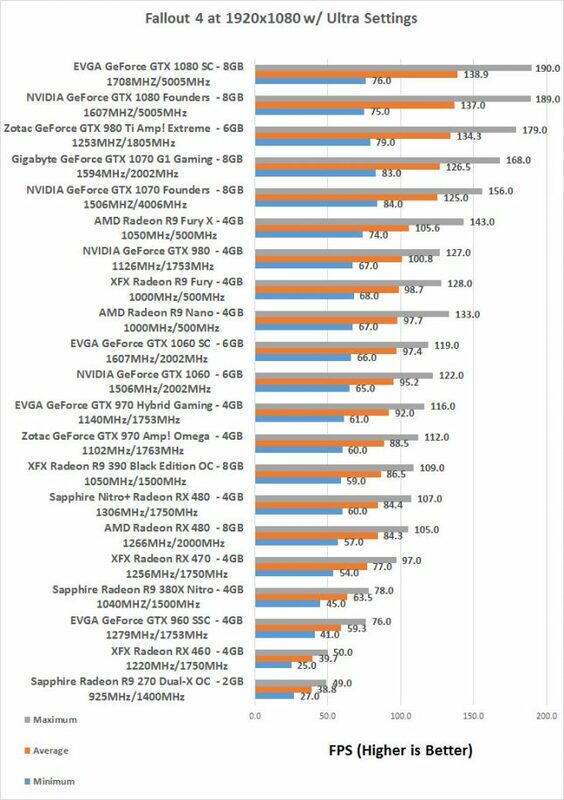 These settings are tough for entry level discrete graphics cards, but are more than playable on high-end gaming graphics cards. V-Sync can’t be disabled in the games options, so we edited the necessary INI files and disabled vsync in the driver software as well. 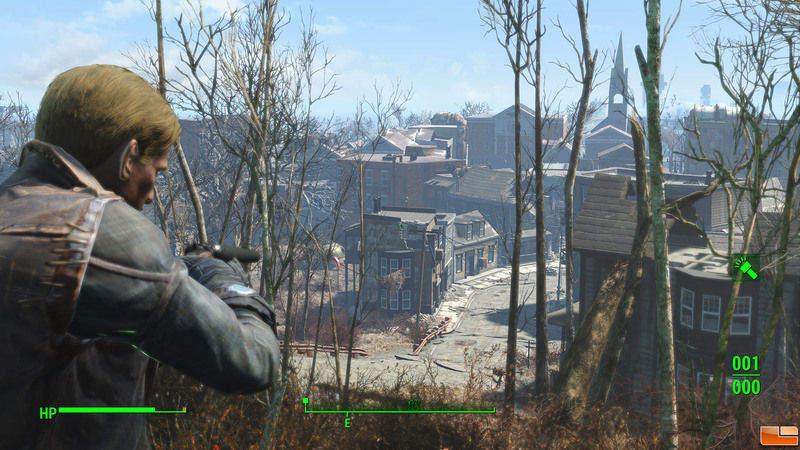 We used FRAPS to benchmark Fallout 4 after you emerge from the vault and are in The Commonwealth. Benchmark Results: In Fallout 4, at 1080p resolution, the XFX Radeon RX 460 4GB was just about 1FPS faster than the Sapphire Radeon R9 270 and averaged 40 FPS. To get this game over 60 FPS on average you’ll need to tone back the image quality settings.